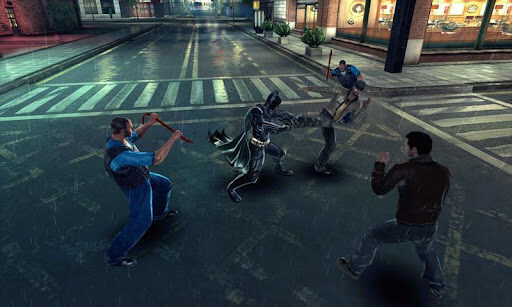 The Dark Knight Rises – Games for Android 2018. 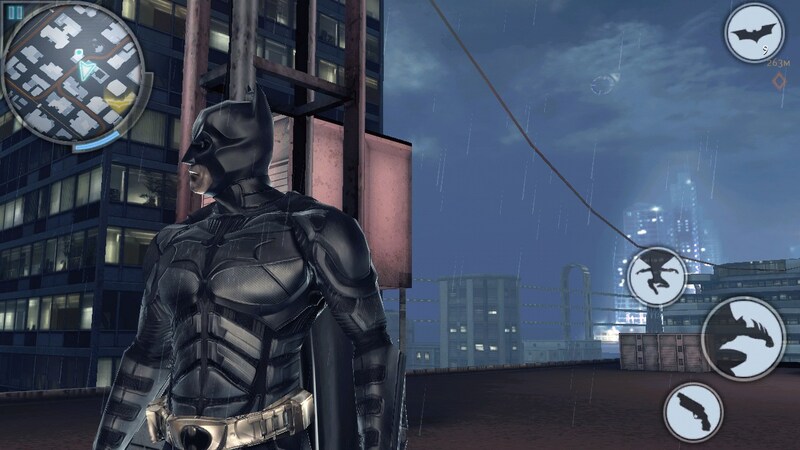 The Dark Knight Rises – Android game inspired by the movie. 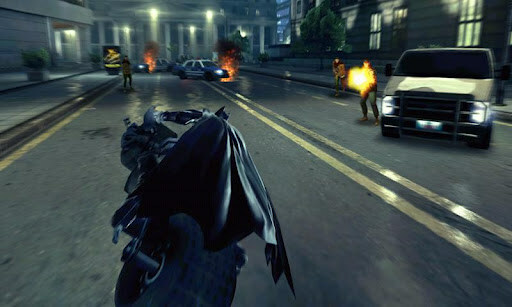 The Dark Knight: Rebirth - a new game from Gameloft studio based on the last part of the trilogy of Batman. In the story the game is almost the same with the movie with a few themed additions. The whole interface and all of the dialogue have been translated into Russian, so if you have not seen the movie, you can easily understand the story. The developers have tried to make the film as close to the game. All the characters in the game are similar to the prototypes of the movie. 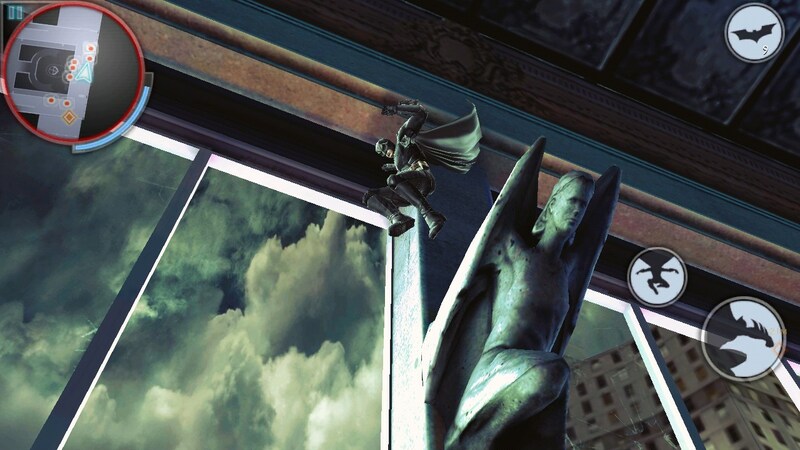 The developers have tried to recreate the legendary city of Gotham and make it open to move, as they did with the Manhattan, the game Amazing Spider Man. 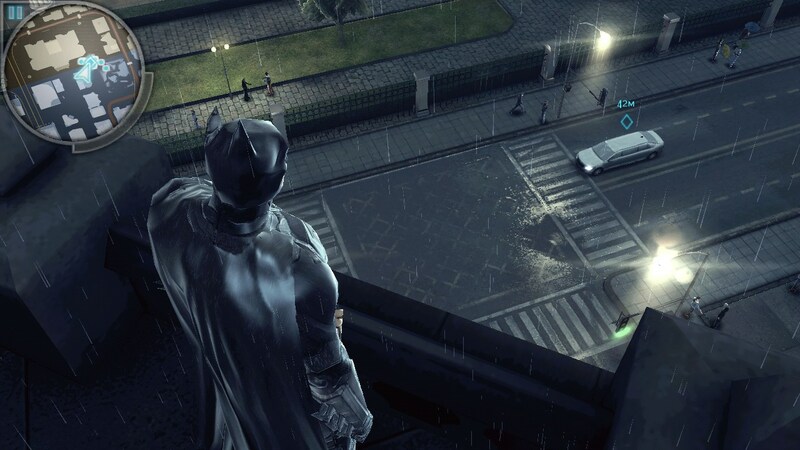 The first thing that catches your eye, it's the game's graphics: it is so good that you can even see the drops of rain falling from the Batman armor. There are, of course, a drawback, as the game Batman drawn, so good that other objects though looks decent, but compared to the main character look just natural. Geimpley the game is very similar to the PC version of Batman. We have only one button to attack and one button to block and counterattack. Despite this, our hero gives beautiful recurring blows regularly bounces, and in general, the whole battle into a fast dance battle, but we hit just two buttons. 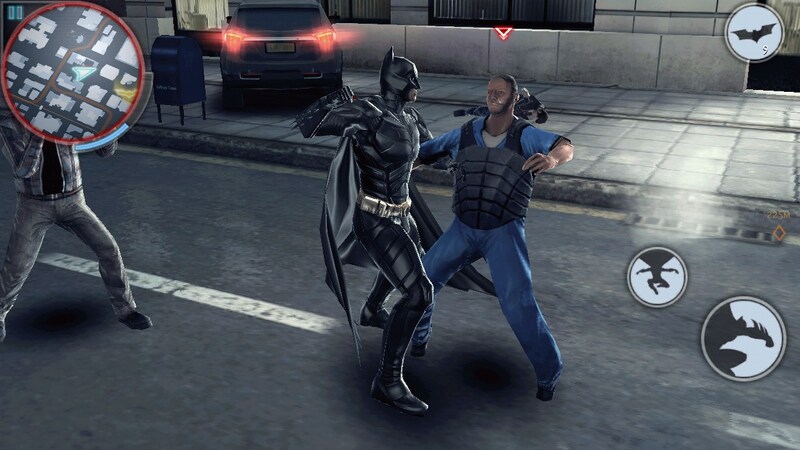 During the fight, we can switch from one enemy to another, simply click directing the movement of Batman to the goal. This approach, of course, very beautiful and dynamic, but may eventually get bored or do not even like the beginning, because we did very little, but want to control the process much more. Dilutes geimpley frequent on stealth missions when others can not see, and we can to quietly kill enemies one by one. Also, the dark knight can climb on roofs with a harpoon and plan out with tech coat. A little later we will have at its disposal a real BETO-bike that will help speed up the movement in the long Gotemu. You can move around the city freely, but it's not very fun to do, because it is almost empty. Summary. 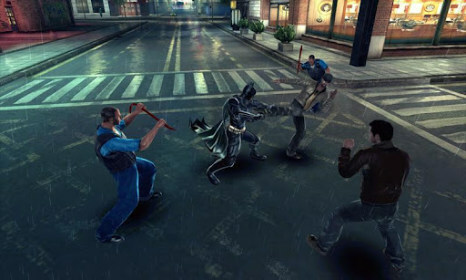 Dark Knight: Rises - this is a very colorful game from Gameloft, which will appeal to all those to whom the original film was not enough. We hasten to warn that in the game there is a large number of bugs, such as walking through walls, dips into the ground, which can spoil the gaming experience. What exactly do you mean you downloaded that version but it never installed? Did you download from the official Google Play page, or did you download the apk files? Also please let me know what device you are using. where i download it???? ?and how put it in my device?just install the apk? In order to download the app you need to click at the button saying 'Buy' that is located above. Please let us know if you would have any other problems.